Sprawling along 80 acres of beautiful Kansas prairie, Wichita Riding Academy boasts one of the best equine facilities in the area with plenty of stalls, riding area, exercise pens and vast pastures. Below is just a sample of the wonderful amenities we offer. If you would like further information or would like to schedule a tour, please contact us! Heated client lounge with spacious viewing area, restrooms, and vending machines. We are so excited to share with you our brand-new lesson barn! 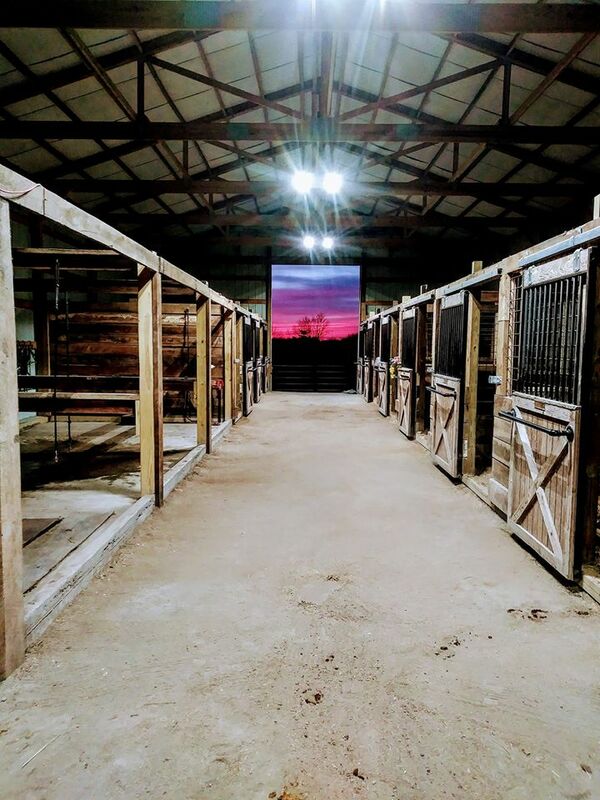 Filled with nine airy stalls, 3 wide wash racks, extra-large tack room and office, it is the perfect setting for educating the next generation of equestrians.